Divorce is hard on kids, even if you do everything right. 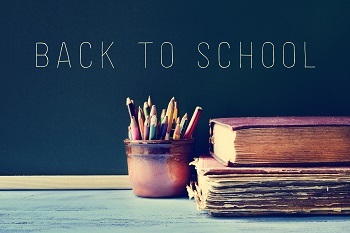 If you divorced over the summer, your family will face new challenges when the new school year starts. Co-parenting and joint custody can be especially challenging during the school year. We are sharing tips and advice on how you can transition successfully into the school year after your family has gone through a divorce over the summer. How can you make sure that your children have a good, comfortable, and academically successful year in the wake of your divorce? Make a calendar. Your child custody and visitation schedule will be new to everyone, and planning for upcoming events and vacations is key. Find out when your child will be out of school, when special events take place (such as recitals and games), and which parent will be in charge and present. Talk to the teacher. If your child is younger, you may wish to let your child’s teacher know what has happened and how your child is coping. At the very least, it will prevent confusion or embarrassment. At the most, it will allow your teacher to help your child through this tough transition. Update contact information. It’s likely that you or your ex-spouse has moved. Make sure that the school knows who to contact and when. Also make sure that both you and your ex are both on important school mailing lists. Coordinate the backpack (and supplies). Your kid’s backpack has always been important, but this year, it’s vital that you pack it with everything your child will need for school, whether she is at your house or your ex’s house. Stock it with school supplies, snacks, and anything else school-related she will need – and make sure it travels with her wherever she goes. Teach your kids how to talk about divorce. Your child will likely have trouble answering, “how was your summer?” Talk with them about how they can tell their friends about the divorce without too much difficulty. If your child is in counseling, ask the counselor to speak on this subject before the school year starts. Coordinate and co-parent with your ex. You may have just divorced, but you are still a co-parent with your ex. Put aside all feelings of anger and sadness so that you can make sure that your children have a great school year. Have a homework plan. It’s important that both parents know about homework assignments and other school-related responsibilities. A calendar, online app, or date book can help your child stay organized and help both parents know what is due when (and when their child might need help with assignments). Consider attending activities with your co-parent. Your child needs to receive the message that both of his parents still love and care about him. When he is involved in a special activity, such as a big sports game or a play, he may want you both there. Even if you are still struggling to get along with your ex as a co-parent, it is vital that you put your differences aside to support your kids. Consider doubling up on textbooks. Shuffling from one house to another during the school year can be emotionally difficult for kids – and it can also cause mix-ups when it comes to textbooks and school supplies. Making sure your child has the resources she needs to succeed in school should be a top priority. Having school supplies (calculators, notebooks, pencils) as well as duplicate textbooks at each house can help smooth the transition. Remember: if your child is old enough to be in school, he is old enough to ask about his own thoughts and feelings. Ask your kid how they feel about returning to school and if they have any needs or concerns. 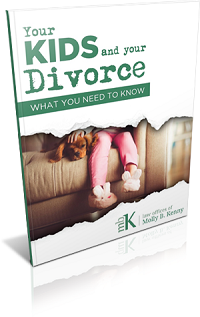 For more tips on facing the challenges of divorce, download our free guide on divorce with children. Do you have a question about Washington child custody? Talk to a Bellevue child custody attorney today. Call the Law Offices of Molly B. Kenny to schedule an appointment: 425-460-0550.